So... I remodeled my kitchen last summer and never got around to publishing these posts that I wrote during the remodel back in September. Although the remodel finished around October, I only got around to taking pictures of the end result this past January with my friend Celeste. I'm finally publishing these for you guys to enjoy... welcome to my much delayed renovation diary! A few months ago, I was at a local Portland bloggers' meetup. One of the attendees came up to me and struck a conversation about my blog. "I love your stuff," she said. 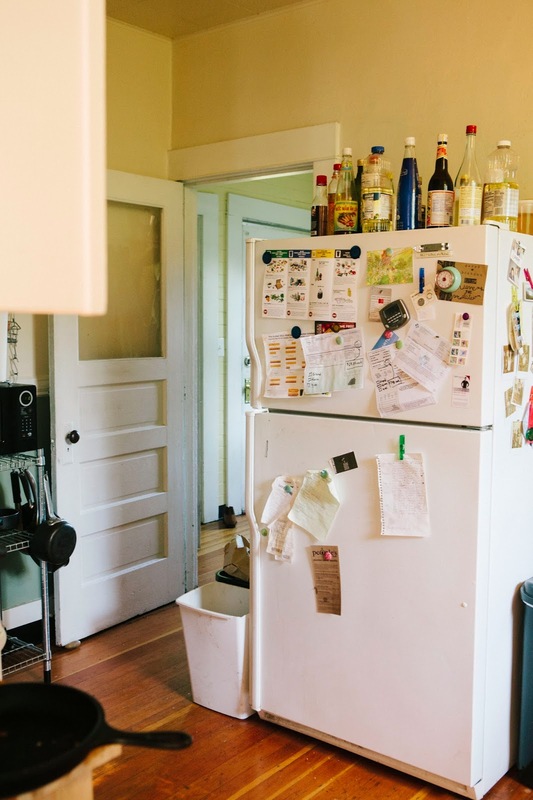 "I'd love to see what your kitchen is like. Maybe you could do a tour for your blog or something? I bet you it's beautiful." It took all my self-restraint not to just spit out my drink and just laugh in her face. Because the fact of the matter is, my kitchen is a nightmare. Cramped, lacking in natural light, work surfaces,and modern amenities (like a hood, as seen above). Not to mention constantly greasy and messy from me and my housemates' never ending kitchen-related projects. Even the storage space is nothing to write home about — if you check out the picture above, you'll notice that many cupboards are either too small to fit anything substantial (hence the pot and microwave rack to the left of the range), and the other cupboards to tall and inaccessible for everyday use (I am only 5"3 after all). 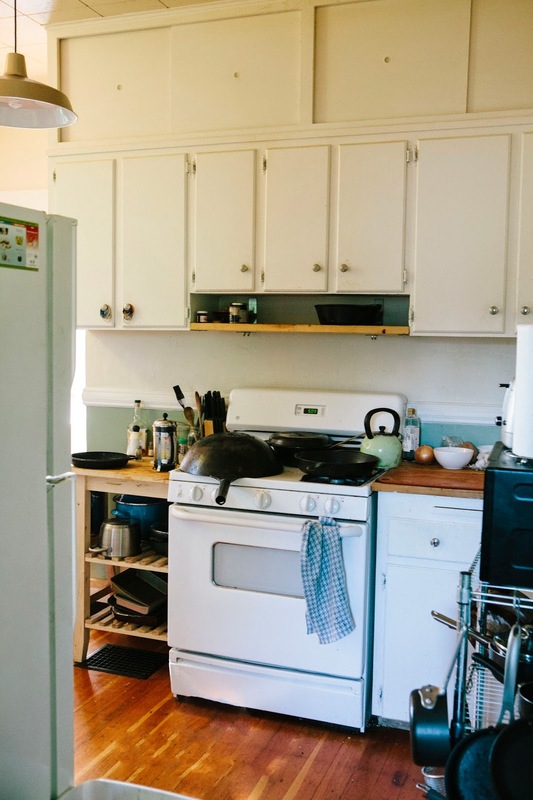 When I purchased the house last summer, I didn't realize just how bad the kitchen actually was. The only thing I knew for sure was that I wanted a dishwasher, and figured that it would be easy to install enough. So I made that my priority first thing, before even moving into the house. The contractor gave me bad news: a dishwasher installation would be pricey as hell, because I had neither the electrical or plumbing setup to do so. Not to mention that my counters were only 18 inches deep, whereas almost every single standard dishwasher has a depth of 24 inches. To install one, I'd basically need to rip out the side of my kitchen pictured above. So yep, a year later, I've equipped the kitchen with two drying racks that are constantly overflowing. For every recipe you see on this blog, there's probably an hour's worth of cleanup (the majority of it being dishwashing). It's exhausting and, truth be told, sometimes discourages me from cooking and baking. Although I love the nook and the extra space it proves, I wish it were more integrated with the kitchen. Currently, it's just some weird other space that happens to be nearby. The other downside is that the archway, while cute, blocks a lot of natural light coming into the work space of the kitchen. The nook has two windows, one west-facing and the other south-facing, and all that beautiful light is just trapped in there. Ugh! So, what am I thinking for my kitchen? First, function over form. I'm prioritizing modern amenities like a hood, a dishwasher and a disposal. 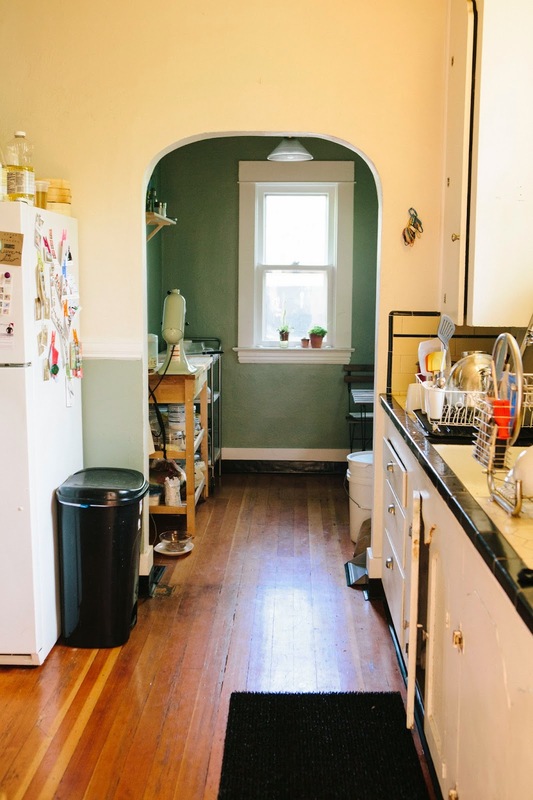 Second, I want to open it up — knock down that weird archway to bring more light and find a place for the fridge to reclaim more space for counters and cabinetry. Tune in next post to see inspiration ideas for my remodel! I cannot wait to see the finished results. We have a similar problem with our dishwasher. It died about 2 months after we lived in our house. We knew it was on its last leg I just wished it lasted a bit longer. Anyway the previous owners but in new floors around the cabinets and so basically we have to rip out half the kitchen to get a new one. So here we are 14 months later and still no dishwasher. Ooh, yes, the dishwasher thing! My family doesn't have one either, so we do all of our dishes by hand. It can take ages, and discourages me from baking, too. Yay! I can't wait to see more!! 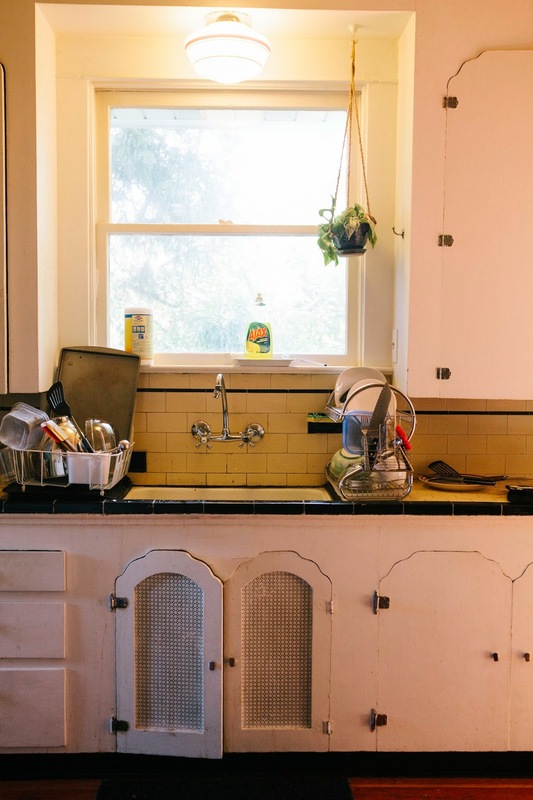 I love following along when people remodel their kitchens - can't wait to see how you found the whole process! Ok, I found you for inspiration because I am putting together plans for my house remodeling. Well, actually a house I'm in th eprocess of trying to buy but you see where I'm going with this. I'm excited to see part two and three! Oh the joys of kitchen renovations! ;-) We had similar concerns for the dishwasher: electrical and plumbing--but the counter/cabinets were already of the correct depth but we ended up not doing the dishwasher. We had lived in an apartment before moving in but we always washed the dishes by hand so we decided to forgo the dishwasher (have I gone mad?!). That was 5 years ago, some days I wished I had a dishwasher, but I think we are okay.